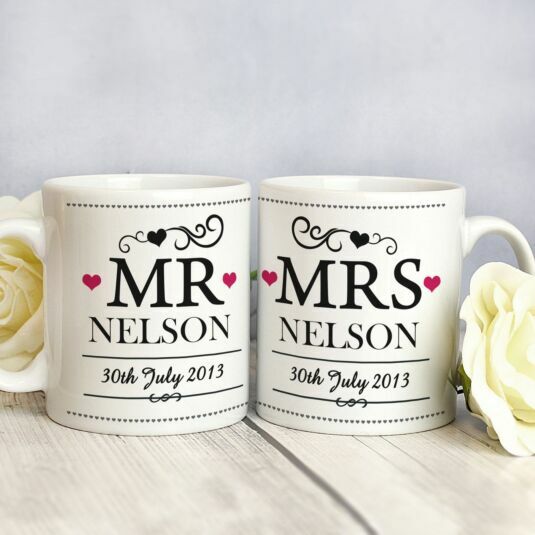 An inspired wedding or anniversary gift, this pair of mugs are white with the word MR on one and MRS on the other. The design is embellished with hearts and curlicues and a personal message may be added to create a unique gift. The words 'MR' and 'MRS' are fixed text and cannot be personalised. Add a surname, with a maximum of 15 characters, to appear below the fixed text. This will automatically appear in UPPER CASE. Add a date, with a maximum of 20 characters, to appear below the surname. A message across 4 lines, with a maximum of 20 characters per line, can also be added on the back. 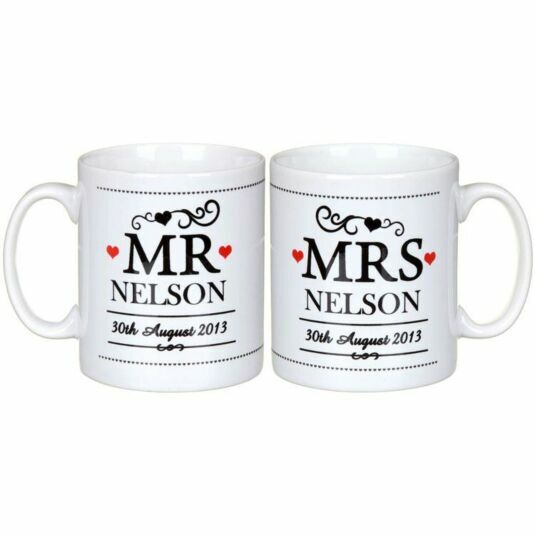 Due to the font type used please refrain from using only capitals for the date and message, as you may find the personalisation extremely difficult to understand and may even result in personalisation being missed off the product. 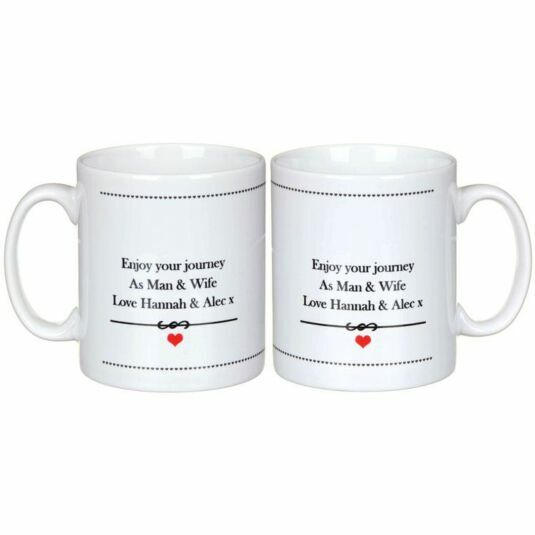 The personalisation will appear exactly the same on both mugs.